This paper will address how today’s refugee regime and response to displacement in Middle East might have roots and precedents, but also ruptures with its Ottoman past. Imperial encounters with multiculturalism and ethnic diversity characterised the Ottoman and Austro-Hungarian Empires as well as the colonies that were ruled by European empires. 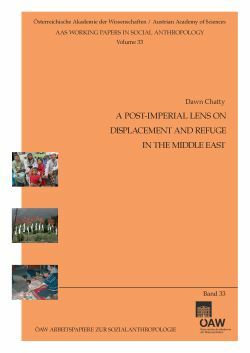 Of all these colonial and imperial encounters, perhaps the Ottoman Empire was uniquely challenged to consider and implement systems of resettlement and reterritorialisation in ordered to address, organise, and manage the mass influx of peoples from its border regions into the heartland of its southern provinces. An understanding of this post-imperial experience might be useful to disentangle contemporary state attitudes and linkages to displacement dynamics and pave a way to better practices.